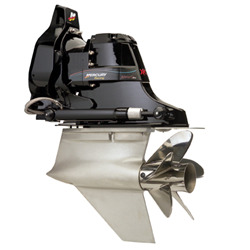 MerCruiser crafts every sterndrive that comes off the line with numerous features to ensure best-in-class reliability and dependability. MerCruiser understands that when you are on the water, you're there to escape the stresses of daily life, not add to them. That's why MerCruiser sterndrives are built tough and built to last, to deliver the most critical benefit of all, peace of mind.